Rachel Coleman moved to Las Vegas in 1957 with her husband and six-month-old son. She quickly found work at the Tropicana. She became active with the local culinary union, and eventually became a union representative. Before coming to Las Vegas, Coleman worked for a white family in Mississippi. Her brother-in-law migrated to Las Vegas, and Coleman and her husband soon followed. Her sister later followed in 1964. After Coleman arrived in Las Vegas, she quickly found work as a glass washer at the Tropicana. She soon left that job and began working as a maid. She was later promoted to Inspectress over the other maids. In 1973, tired of maid work, she became a union representative in the local Culinary 226. 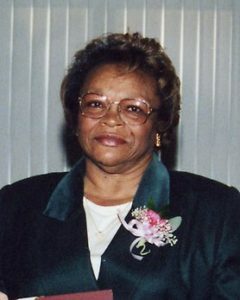 In 1987, she resigned from the Union and went to work for Jackie Gaughn at the Union Hotel & Casino. The interview describes her life and community on the Westside, including the nightlife on Jackson Street. She also goes into detail about the Culinary Union, it management, and the changes it underwent during the 1960s-1980s.